The Wolfson Firm’s Personal Injury Lawyers are proud of the results obtained on behalf of our clients, however each case is different and must be evaluated on its own merits. $2,200,000: Our client was the wife of the decedent who had fallen through an opening in a Miami bridge and died. This case settled after a lawsuit was filed and before trial. 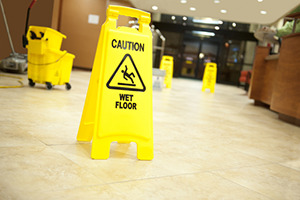 $400,000: Our client slipped and fell on a wet floor outside a Doral office building. She suffered injuries to her neck, back and knee. She underwent surgery. Her case was settled at a mediation ordered by a Miami-Dade Circuit Court judge. $337,500: Client went to friend’s house in early morning to get a ride. When walking down the stairwell, she tripped and fell due to the dangerous condition of stairwell and lighting. This Miami premises liability case was settled after many years of litigation by her Miami slip and fall lawyers at the Wolfson Law Firm. $300,000: Our client tripped and fell on a piece of metal rebar extruding from a supermarket parking bumper in North Miami Beach. He hurt his knee and underwent surgery. Case settled after suit filed by his Miami attorneys. $250,000: Our client slipped and fell down the stairs inside her North Miami condo. The stairs were wet because the roof of the condominium was not properly maintained or repaired. She had surgery to repair her fractured ankle. The defendant was the condominium association which had the responsibility to maintain the common areas including the roof. Our client’s case was settled at mediation during litigation. $225,000: Our client was in a Miami department store when a table fell on her head. She suffered a herniated disk in her neck and vertigo. This Miami premises liability injury case was settled after a lawsuit was filed and before trial. $187,500: Our client was an elderly woman who broke her hip as a result of a fall due to a poorly designed dock area in Miami. This case was settled after a lawsuit was filed and before trial. $180,000: Our client tripped and fell on wires that were exposed and laying across a pathway at a public event in Miami. He underwent neck surgery. Case settled after lawsuit filed. $175,000: In Miami Lakes, our client slipped and fell in a movie theater. She injured her back and knees and underwent surgery. In addition to medical bills, she lost time as a hospital bookkeeper. Her case was settled after a lawsuit was filed. $160,000: Our client fractured her hip in a fall at a local retailer in Miami. She underwent surgery and a slip & fall lawsuit was filed in Miami-Dade Circuit Court. Her personal injury case was settled before trial. $135,000: The door of an oven fell onto our client’s foot in a Miami apartment. The owner and insurance company for the apartment settled the case prior to trial. $125,000: Our client slipped and fell on green mold/slime at a South Florida waterpark. She had surgery on her elbow. Her case was settled during litigation in Palm Beach Circuit Courts. $112,500: Our client was severely injured while using an exercise bike at her condominium gym on Miami Beach. The condo association settled her personal injury claim during litigation. $100,000: Our client slipped and fell at a Miami gas station. He injured his knee, neck and back. His slip and fall lawsuit was settled at mediation before trial. $100,000: Our client slipped and fell on unreasonably slippery stairs at her apartment building in Miami. The insurer paid policy limits before suit was filed. $100,000: Our client was injured after falling off of a skateboard in Miami when he hit a portion of sidewalk that was removed by a contractor. This case was settled after a lawsuit was filed and before trial. $99,000: Our client, while visiting Miami from the Caribbean, slipped and fell at the Miami International Airport. He suffered injuries to his spine. His case was settled during litigation at the Miami-Dade Circuit Court. $95,000: Our client slipped and fell on a liquid as she was leaving a Miami supermarket. Water was oozing out of the threshold due to improper cleaning. She underwent a meniscal surgery and her case settled after suit was filed. $90,000: Our client slipped and fell in the lobby of a South Beach hotel. She injured her knee. Her case was settled while in litigation. $70,000: Our client had a knee injury and surgery because of a Miami slip and fall accident that occurred due to a buildup of a soapy substance at his workplace. This case settled after a lawsuit was filed and before trial. $50,000: Our client suffered knee and ankle injuries as a result of a slip and fall in a Miami department store. This Miami slip and fall personal injury case was settled after a lawsuit was filed and before trial. $1,500,000: Our client was at a complete stop on her motorcycle in the Florida Keys when a distracted driver rear-ended her at a high rate of speed. The accident happened in front of our client’s husband who was also riding his motorcycle. Our client suffered severe injuries including the amputation of two finger and a fractured leg. Case was settled after a lawsuit was filed. $402,000: Our client broke a finger and developed contractures in her hand. She was diagnosed with complex regional pain syndrome. This Miami moped accident case concluded with a verdict after a jury trial in a Miami courtroom conducted by attorney Jonah Wolfson, Esq. $300,000: Our client was injured in a motorcycle accident in Miami caused by roadway defect. His case was settled during litigation in Miami-Dade Circuit Court. $300,000: Our client suffered a hip injury that became necrotic. He also suffered wrist and shoulder injuries in this Miami motorcycle accident. $260,000: Our client had a temporal bone fracture as a result of a Miami motorcycle accident. The case was settled after a lawsuit was filed and before trial for policy limits of underinsured motorist coverage and of third party tortfeasor. $250,000: Our client had a broken ankle and underwent surgery due to a Miami motorcycle accident. 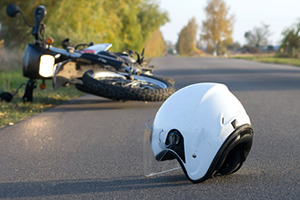 This Miami motorcycle personal injury case was settled for policy limits. $200,000: Our client had a back injury that was an aggravation of a condition that was there before the Miami motorcycle accident. He had surgery on his back. This personal injury case was settled after a lawsuit was filed and before trial. $127,500: On Miami Beach, our client was riding her bicycle when she was forced off the road by a “road rage” driver. Our client had multiple injuries including a fractured collarbone. Case was settled prior to a lawsuit being filed. $125,000: Our client had surgery as a result of a Miami motorcycle crash. He had hardware inserted after a surgery on his upper extremity. This personal injury claim was settled pre-suit. $100,000: Our client was injured in a Miami motorcycle accident, hitting his face/jaw and had surgery for TMJ. This personal injury claim in Miami was settled after a lawsuit was filed and before trial. $525,000: Our client injured her hip in a Miami car accident. A lawsuit was filed in this case and the matter settled with her attorneys’ help before trial. $340,000: Our client suffered a herniated disk in a Miami rear-end car accident collision. The injury did not require surgery. A lawsuit was filed in this case and the matter ended in a verdict after jury trial tried by Wolfson Law Firm attorney Jerome H. Wolfson, Esq. $300,000: Our client was a female secretary who fractured her wrist in a Miami car accident and underwent surgery. This Miami injury claim was settled pre-suit. $285,000: Our client was an Uber driver and he was rear-ended by a tow truck in Miami Beach. He suffered injuries to his head, neck and back. His personal injury case was settled during litigation and before a jury trial. $280,000: Our client suffered a facial scar after a crash on her way to Miami Beach because a used car dealer gave her a loaner that had bad brakes. This was a jury verdict in Miami-Dade Circuit Court. Because the verdict was 25% more than our proposal for settlement, the Defendant paid Plaintiff’s attorney fees. $200,000: Our client was studying for medical exams to get her license in this country when she was in a Miami car accident. The accident caused her to sustain a shoulder injury which required surgery. 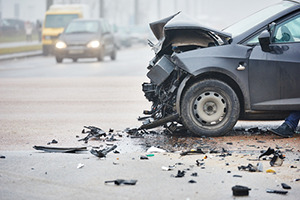 This Miami car accident claim was settled pre-suit. $177,000: In Miami, our client’s car was rear-ended by an industrial truck and he sustained serious injuries. His personal injury case was settled at a court-ordered mediation. $150,000: Our client was a driver struck by an uninsured motorist in Miami. He suffered injuries to his back, neck and shoulder. The uninsured motorist carrier settled his case after a lawsuit was filed. $118,000: Our client was involved in a rear-end collision in Miami with a cement truck. She suffered injuries to her neck and back. Her case was settled after a lawsuit was filed. $110,000: Our client was rear-ended in North Miami and suffered severe shoulder injury. Case was settled for policy limits after lawsuit was filed. $50,000: Our client was a young female who suffered a herniated disk after a Miami rear-end collision. She did not have surgery. A lawsuit was filed in Miami-Dade Circuit Court and the case settled before trial. $45,000: Our client was in his 50’s and was rear ended in a Miami car accident. He had herniated disks and settled his case after suit was filed. $45,000: Our client was a 35-year-old female who suffered a herniated disk in a rear-end collision. This claim was settled pre-suit. $35,000: Our client was a female cafeteria cook who suffered a bulging disk in a Miami car accident. This case settled very quickly after trial began and before any verdict. $425,000: Our client was the wife of a 73-year-old male who died after a procedure in hospital. A Miami medical malpractice lawsuit was filed, and the matter settled before trial. 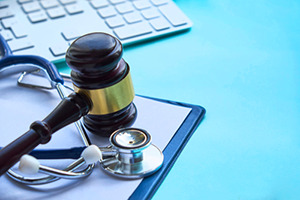 $250,000: Our client was the wife of a man who died as a result of misdiagnosis of his heart condition. This medical malpractice case in Miami settled for policy limits after a lawsuit was filed and before trial. $225,000: Our client had ankle problems because of a negligently performed ankle surgery in Miami. This medical malpractice case settled after a lawsuit was filed and before trial. $80,000: Our client discovered a metallic object in her abdomen after x-ray imaging. 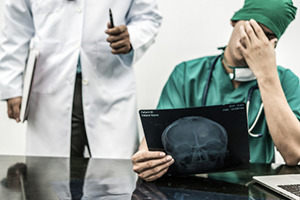 This Miami medical malpractice claim was quickly settled pre-suit. $650,000: Our client’s car ran out of gas in the early morning. He got out to push and was hit by a car in a Miami car accident and was run over. He was in a coma for weeks and had multiple fractures and underwent surgery. This case was settled after suit was filed. $500,000: In Miami, our client was jogging at night when she was runover by a truck which had a dash-cam that showed the entire accident. Client suffered a concussion and a displaced comminuted fracture of the shaft of the right tibia. Case was settled in pre-suit mediation. $275,000: Our client was pedestrian walking in Ft. Lauderdale and was hit while crossing the street. Defendant claimed Plaintiff as drunk and at fault. Plaintiff underwent back surgery. Case was settled pre-suit. $150,000: Our client was struck by a car while crossing the street and suffered a head injury which left him with periodic vertigo. This Miami pedestrian car accident case was settled pre-suit. $75,000: Our client had a 2cm scar above her eye as a result of being hit by a car while crossing the street in Miami. This claim was settled pre-suit. $250,000: Our client, a medical doctor, was represented by a law firm in administrative proceedings and claimed legal malpractice. This case settled after suit was filed and before trial. $250,000: Our teenage client was physically restrained and detained by an employee of a national retail store. The employee also made racially discriminatory statements while calling law enforcement. Our client’s case was settled in a pre-suit mediation.